Where to stay in Singapore: A local's advice on the best area to stay and the best hotels in Singapore for all budgets. We break down 5 different neighborhoods and the best things to do in each one. Singapore may not be a massive city but with all the choices on offer, it can still be a little confusing when looking for the best place to stay or the best place to base yourself. Don't be deterred by its reputation as being an expensive city. There is something for every budget level. Whether you a first-timer or a veteran visitor you will learn about some the best places to stay and the best things to do in Singapore. If you want to skip directly to any of the neighborhoods in Singapore, click on the links below. There are some affiliate links in the post below where theplanetd will earn a commission if you make a purchase but there is no extra cost to you! Orchard Road – One of the oldest and most popular streets of Singapore, surrounded by distinctive shopping malls. Marina – Iconic architectural works based on Singapore’s skyline and its main landmarks. Sentosa Island – A famous tourist spot, where you can find sandy beaches, various attractions and Resorts World Sentosa. Clarke Quay & Chinatown – Located along the Singapore River, with a vibrant nightlife and traditional Chinese cultures entwined. 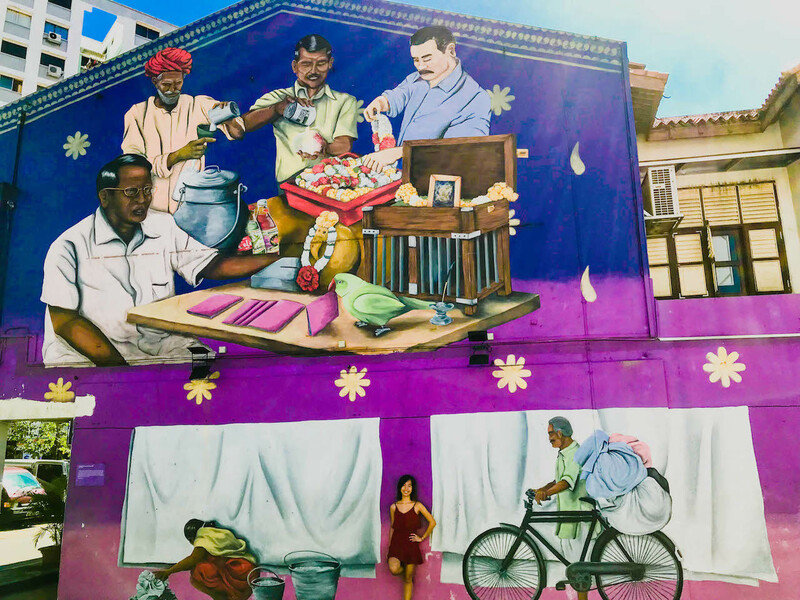 Little India & The Arab Streets – A hipster neighborhood with boutique shops, hotels, and unique street arts. We have found that the best advice when it comes to finding out where to stay in a city is to ask a local. So that is exactly what we did. 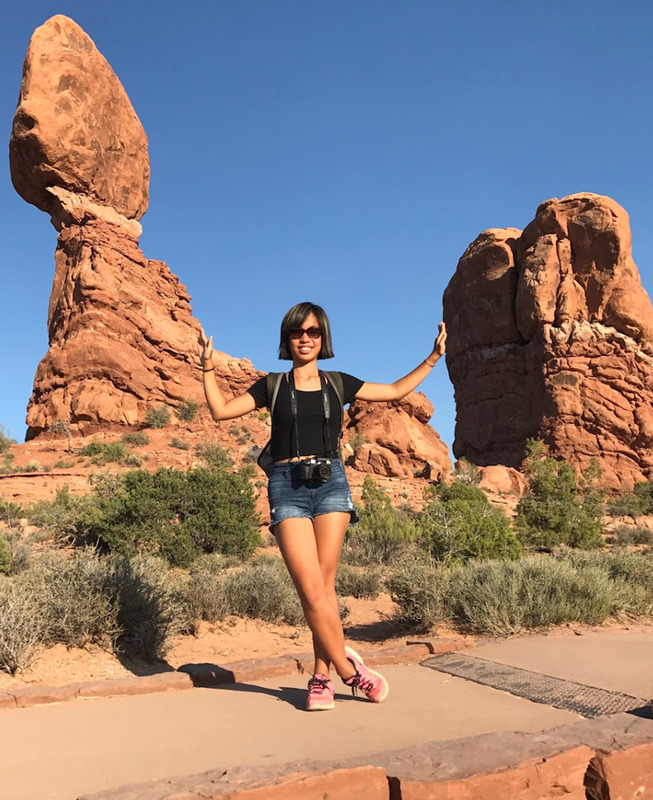 Singapore resident and local travel writer Charmaine Leow of Bunnyhoptravels shares the knowledge she’s picked up over the years spent living in this incredible city. From the best neighborhoods and cool nightlife to her favorite little cafes, you will get the insider tour. Most attractions in Singapore are accessible by foot. It can be fun taking a stroll from one end to another, exploring the different sights of Singapore and experience it all. Transportation is also widespread and efficient. You can always find a bus stop or train station (MRT) within a few kilometers of your current location, with the prices dependent on distance travelled. Singapore Tourist Pass: If you intend to tour around the city for multiple days, it is best to purchase the Singapore Tourist Pass. It gives you unlimited travel on public buses, MRT & LRT. Single-Day Passes cost about S$10, Two-Day Passes cost about S$16, while Three-Day Passes are S$20, all purchasable from here. 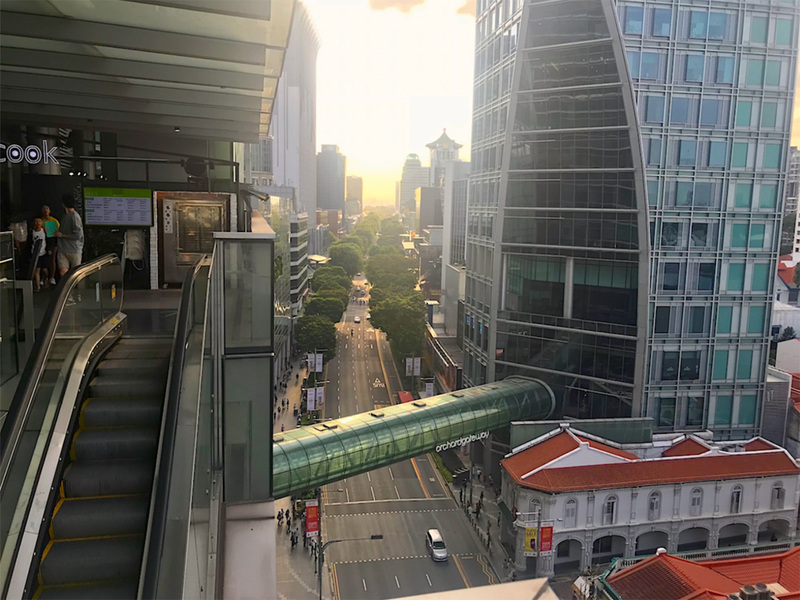 As mentioned, moving around Singapore is very convenient and is not a huge issue; buses and MRT Trains travel throughout the entire city with stops commonly found right in front of your hotel or apartment. Singapore officially has 28 districts. In this small city of only 278.6sq mi, almost everywhere is easily accessible by car or bus. The attractions in Singapore have been planned out so well that you can explore each unique place on foot if you like. back to top - return to the top of the page for the full list where to stay in Singapore. 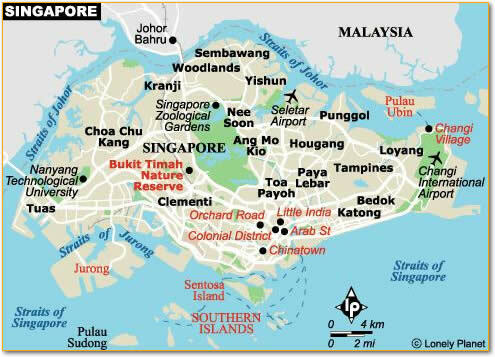 Being one of the smallest countries in the world, spanning a land area of about 719.9 km², it is also known as “The Little Red Dot.” Though physically small, Singapore is an economic giant. Singapore’s government has strived for excellence in building a global financial hub. Today, it is one of the fastest and most developed countries in Southeast Asia. Though Singapore has developed so extensively, it still retains its culture and traditions. As a multi-racial country; its wide diversity will astonish you. You will find different streets and neighborhoods dedicated to each ethnicity. The Grand Colonial Times Building resides in the downtown core, while traditional buildings used by the Peranakan and Chinese in the 60s and 70s are found in the area as well. Walking and navigating around Singapore on foot is easy. It is a small city and attractions are well-planned and clustered. What I love about this vibrant city is the efficiency of public transportation. You can virtually get anywhere by train or by bus! Orchard Road is a 2.2km shopping belt in the Central Area of Singapore Street. 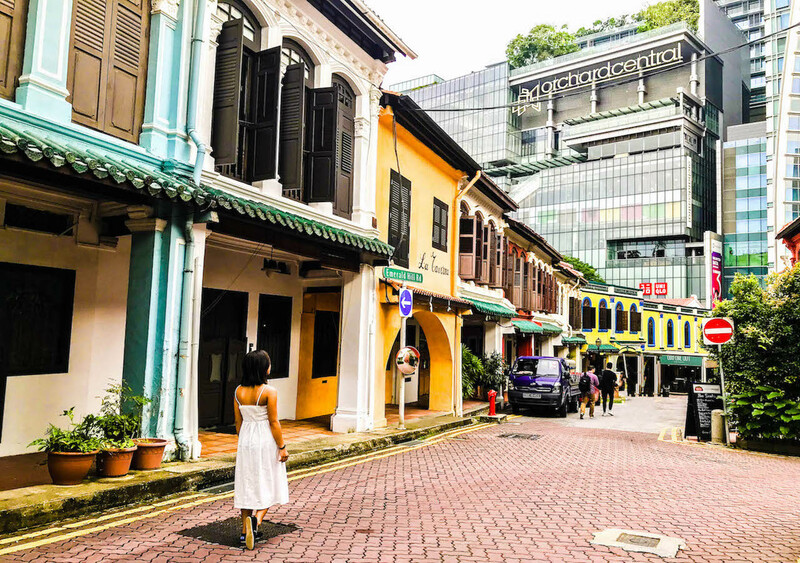 Being one of the most famous shopping streets in Singapore, it attracts both locals and tourists to shop, enjoy, dine or have a pleasant stroll. You can discover this bustling boulevard either underground, walking from Mall to Mall or walk along the swanky, tree-lined street, enjoying the exteriors of all the shopping malls. Orchard Road offers you one of the best outdoor shopping experiences. As you stroll along the tree-lined street, you will find huge, grand luxury shops like Michael Kors, Gucci, Armani and many more on your right-hand side. Walking along Orchard Road and shopping has always been one of my favourite things to do. Staying here is a great option if you want to have the best Shopping experience! Staying in Orchard gives you access to all the shopping malls in just a few steps. A 5-star Luxury hotel set In the midst of exotic gardens. It is 7-minutes away from the hustle and bustle of Orchard Road that costs over S$350 per night. A beautiful outdoor swimming pool set right in the middle of Orchard road, giving you direct access to the MRT Station and Luxury shopping malls. A friendly, clean hotel that provides you with all the basic amenities during your stay. Walking distance to Singapore’s famous shopping street! Shopping Belt Walk - Take a 20 minute Walk from Ion Orchard Mall to Plaza Singapura. Fort Canning Hill - One of Singapore’s most historic Landmarks. An ideal place for Nature Seekers, and History lovers. National Museum of Singapore - Located in front of the Fort Canning Hill, this Museum is one of the oldest in Singapore, dating back to 1849. Inside, you can learn about the history and culture of Singapore. Emerald Hill Road - If you fancy a drink or two, Emerald Hill is a hipster place which is full of local pubs that are open to the wee hours of the morning. Singapore Botanical Gardens - This 158-year-old Tropical garden is located on the fringe of Orchard Road. It is a colossal rainforest with a fantastic Orchid Garden. Singapore Sightseeing - One of the best transportation service any tourist can use to catch Singapore’s key landmarks using the “King” of Hop on and Hop Off tours. By purchasing this, it gives you access to 7 transport lines, 63 bus stops and runs up to 100 trips per day! You need not worry about wasting time waiting for the buses to arrive! Shuttle Buses include rides to Night Safari, Zoo, and Jurong Bird Park. It also gives you 2 free walking tours to learn more about Singapore’s Heritage. 24 hour passes starts at S$39.13. 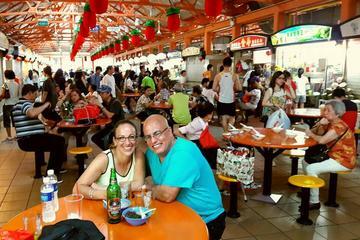 Singapore Private Welcome Tour: Make your visit to Singapore as much about the people you meet as the places you see. Choose from 2, 3 and 4-hour options for this private introduction to the city with a local guide. Get tips on transportation and top things to see and do. 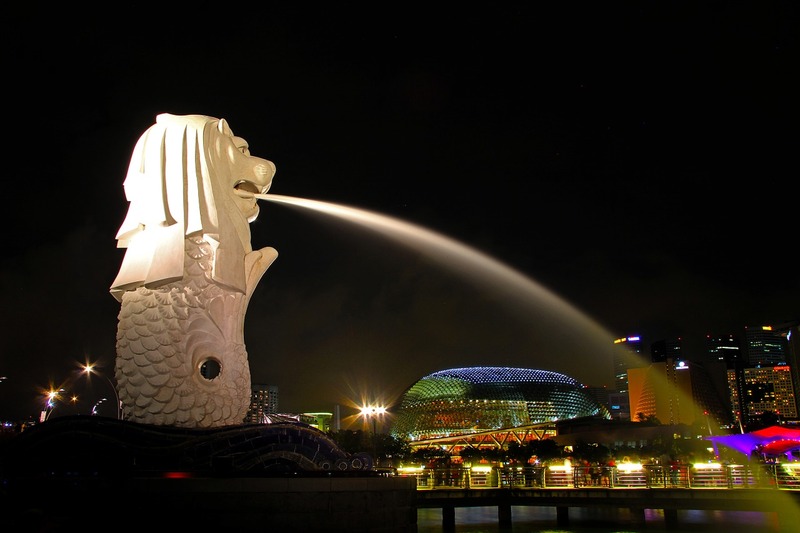 Singapore by Night 2-Hour Private Tour: Experience the incredible nightlife of Singapore on a private 2-hour early evening tour. Take in the unique city vibes, taste the delicious street food and see a spectacular light show. Hippy Tours: Take the Hippy Hop on and Hop Off Bus using the MRT’s Yellow Line. There are several stops that you can take from Number 14 to Number 19, depending on where you are going. Hippy tours are part of the Singapore Sightseeing Package mentioned above. Buses: Several buses run from different parts of Singapore to Orchard road. Click here to find out which bus you can take. Another easy way to research would be to google “buses to Orchard Road.” Ensure that your location settings for Safari or Chrome are switched on. Google would provide you with the fastest way to reach Orchard. MRT: Travel by MRT is also very convenient! Alight at Orchard and Somerset stations. You can purchase train tickets from the ticketing counters, or you can get the Singapore Tourist Pass which gives you unlimited access to transportation all around the city. Google Maps and Maps.me are both good Apps to get transport information easily. An area of iconic architectural works featuring the Singapore Skyline and her main Landmarks. The Marina area is built on reclaimed land and today it gives you the best views of the city landscape, especially since it overlooks the world’s most expensive standalone Casino & Resort, the Marina Bay Sands, worth S$8 billion alone. If you are a nature lover, you will also love the scenic stroll along the Singapore River with a beautiful landscape as your backdrop. Iconic Hotel in Singapore with World’s Largest Infinity Pool, a world-class casino and dining experience. This Luxury Hotel offers you fantastic views from your Hotel Room and the Rooftop Pool. Ranked as one of the top Picks in Singapore in Marina Bay. It gives you easy access to the Top attractions around Marina Area like the Singapore Flyer and shopping! Great location! This spacious chic hotel situated In the heart of the city centre is within walking distance to restaurants, bars and the MRT Train Station. Getting anywhere with the MRT Train is easy and convenient! The Merlion - Residing at the waterfront it is the official mascot of Singapore which attracts an enormous number of tourists to Singapore every year. Marina Bay Sands - A 2,561 room hotel, topped by a Sky-park giving you a 360-degree view of the city. There is also the world’s largest Infinity pool offering you one of the best views of the Singapore’s landscape. On every weekend and Thursday, there are light and water shows held at the event plaza, in front of the Marina Bay The Shoppes. Click here to find out more about show timings! Singapore Flyer - A giant Ferris Wheel which gives stunning views of the city’s landscape and historical landmarks. Gardens by the Bay - An attraction that has appealed to many tourists; A colorful, and futuristic park of Singapore. 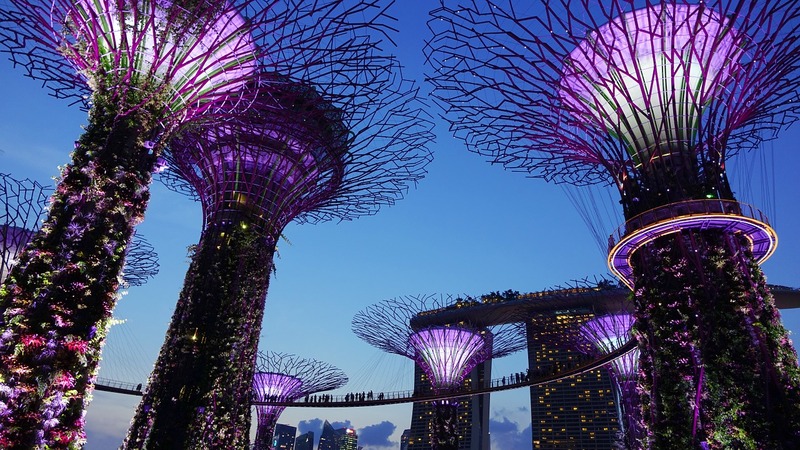 It is known for its supertree structures, skywalk and Conservatory domes. Art Science Museum - It hosts Interactive Arts and Science Exhibitions in the Marina Bay Area. Helix Bridge - The World’s first curved bridge. A distinctive double-helix Bridge and the longest pedestrian bridge connecting Marina South to Marina Centre. S7 & Gardens by the Bay - Tour starts at S$73; Package includes the “Hop On Hop Off” bus tour and tickets to the twin Conservatory domes. S7 & MBS Skypark - Tour Starts at S$69, this includes the “Hop On Hop Off” bus tour and access to the Marina Bay Sands Sky Park on the 57th floor. Singapore Pass with 3 or 5 Attractions - Ride on the Hippo Sightseeing tours & gain access to 3-5 top attractions that you can choose from at discounted prices. This pass is valid for five full days of validity. Mandai Tours - Visit Singapore’s Zoo, Night Safari, and River Safari, experiencing the diverse wildlife and get in touch with nature! There are Park Hopper options that you can choose from to save money and experience more! Singapore Super Saver - An 8 Hour Tour Combo of Singapore River Safari and Singapore’s Zoo Night Safari where you can get up close to the habitats, animals and see unique species that you have never seen before! Round Trip Transport is included. Hippy Tours: If you are taking the Hippo Tour (“Hop On Hop Off” bus tour), hop on the Green Lines. These buses travel the entire Marina Bay Area. Buses: Several buses run from different parts of Singapore to Marina Bay. Click here to find out which bus you can take. MRT Train: You can also conveniently purchase MRT train tickets from the ticketing counters, or you can get the Singapore Tourist Pass which gives you unlimited access to transportation all around the city. Sentosa Island - Singapore’s most famous offshore island where you can find beaches, attractions and Resorts World Sentosa. Sentosa, also known as “The State of Fun,” is a leisure destination and a human-made island getaway. It is the city’s most exciting playground offering you clean golden sandy beaches, luxurious resorts and spas, and mega theme-parks which includes the Universal Studios Singapore (USS), S.E.A Aquarium, and Adventure Cove. Visiting Sentosa Island would require a day or two. You can spend time relaxing on the beautiful beaches, grab a ride on Sentosa Luge, have some fun, or even spend a day catching the Hollywood themed and Sci-fi themed rides in Universal Studios Singapore! Just a 2 Minutes walk to Silosa Beach on Sentosa Island, it offers you spectacular views of the south china sea and an environment like a modern tropical holiday experience. Spacious room situated in a prime location of Sentosa Island. The hotel is accessible to all the various attractions in Resorts World Sentosa, like Universal Studios and S.E.A Aquarium. Costa Sands Resort ($120) - Away from the bustling city, the hotel is just 4 minutes walk from the beach. Providing you with all the basic amenities that you need for a great stay. Adventure Parks - This is enough to fill up a day or two in Singapore! Fuel your fun at Universal Studios Singapore (USS), S.E.A Aquarium, and Adventure Cove. 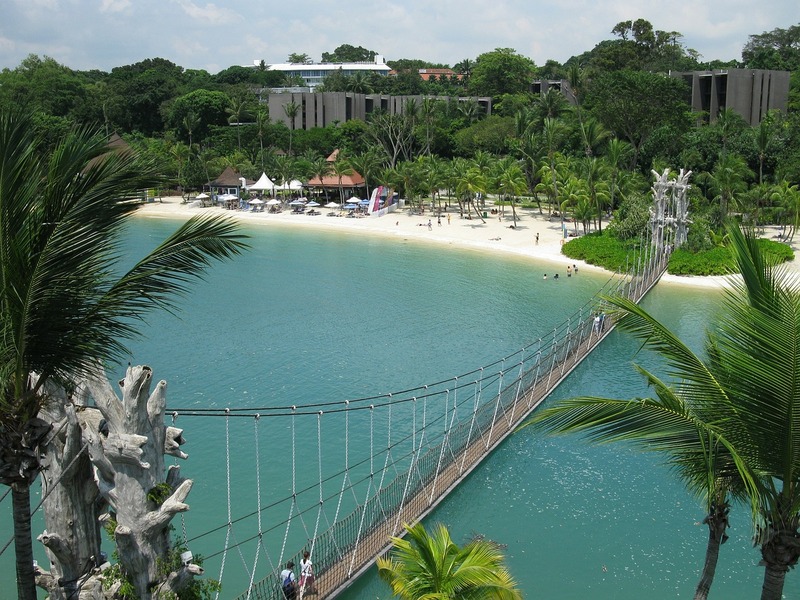 Beaches - There are different beaches in Sentosa that you can choose from: Sentosa Beach, Tanjong Beach, and Siloso Beach. Performances - Catch the Wings of Time which showcases colorful lights, lasers, water fountains and 3D effects. AJ Hackett Sentosa which includes a Bungy, Giant swing, vertical skywalk, and sky bridge! Sentosa Island Tour - Tour the entire island by riding the cable car and catch Singapore’s panoramic skyline! The package also includes a visit to the tropical forest at the Butterfly Park & Insect Kingdom. Tour packages include transport to and fro your hotel. Singapore Super Saver - Enjoy the best of Sentosa Island! You can enjoy a day at the S.E.A Aquarium and Universal Studios Adventure into your Sentosa’s bucket list at only S$111! This package allows you to skip the lines, save time and money with an optional upgrade for hotel Pickup! 2-Day FUN Pass: Universal Studios Singapore + PLAY MAX - Enjoy Universal Studios Singapore and play up to 20 attractions on Sentosa Island! With this package, you can save up to 60%. Prices start at S$185 per adult. Hippy Tours: If you are taking the Hippo Tour (“Hop On Hop Off” bus tour), hop on the Green Lines. These buses travel from the Marina Bay Area to Resorts World Sentosa. Buses: Several buses also run from different parts of Singapore to Harbourfront, which leads you to the MRT Train station to Sentosa! Train tickets can be purchased from the ticketing counters or obtaining a Singapore Tourist Pass which gives you unlimited access to transportation all around the city. Bus into Sentosa: Once you have arrived at Harbourfront Station or Vivocity (they are just next to each other), you can board RWS8 from bus stop 14141 at Vivocity or bus stop 14121 at Harbourfront and alight at Sentosa drop off point. 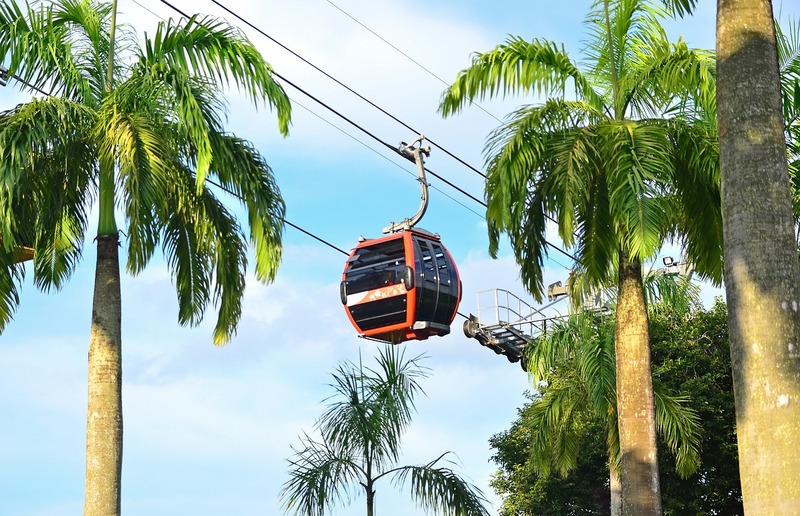 Cable Car into Sentosa: Another option would be by the cable car, which is more popular. Walk toward exit B within Harbourfront train station, walk towards directional signs leading to Singapore Cable Car Station at Harbourfront tower 2 and board the cable car. Cable car rides cost S$3 per person. Walking: Walking is also available via the Sentosa Boardwalk. It takes about 20 minutes from Vivocity, and it cost about S$1 entry into Sentosa. Click here for more transport information into Sentosa Island. Located along the Singapore River, with a vibrant nightlife and traditional Chinese cultures entwined. Clarke Quay is alongside the Singapore River. It is a unique place with conserved historic landmarks, yet famous for its bustling nightlife and vibrant nightclub spots, cementing its reputation as one of the liveliest areas in Singapore that never sleeps. 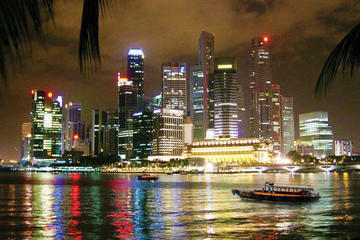 Many restaurants are located facing the waterfront, giving you stunning views and cool breeze from the Singapore River. Over here, you will find vintage-like shops and restaurants. Clarke Quay provides a range of family-friendly activities as well, and cultural restaurants where many tourists and locals hang out. 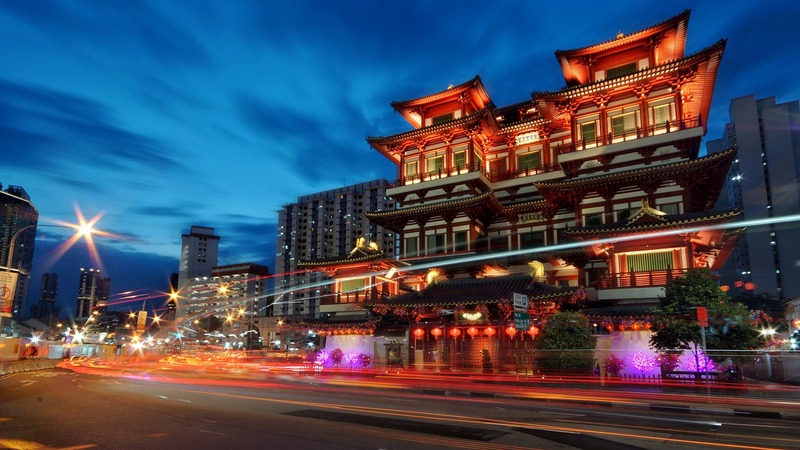 Chinatown, just a few streets away from Clark Quay, offers the many aspects of the historical and cultural experience. Once a place for the Chinese immigrants, you can still find old Peranakan Shop-houses which have been retained since the 60s. Besides that, you can find market stalls, restaurants, all lighted by traditional lanterns and strings, which brings back great memories of the olden Chinese days in Singapore. If you are hoping to find cheap accommodations, and hostels in Singapore, Chinatown is an excellent place to start. There are higher end hotels available as well, especially in Clarke Quay! 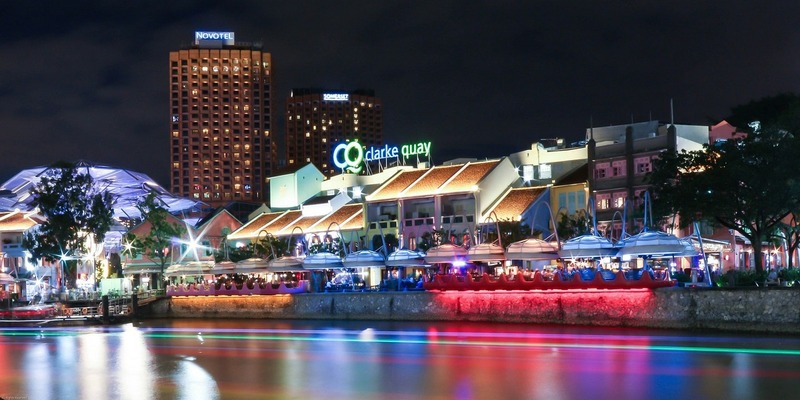 In Clarke Quay, you can book a hotel facing the Singapore river and have fun till late nights! Novotel is known for its prime location for accessing the active nightlife spots and it offers you beautiful views of Singapore’s City Skyline. A heritage Hotel nestled in The Central Business District and Singapore’s River. Easy access to 2 MRT Stations. Complimentary breakfast is served. This 3 Star Hotel is located in the very cool Chinatown District. This is a neighborhood where you can immerse in culturally diverse food and trips. 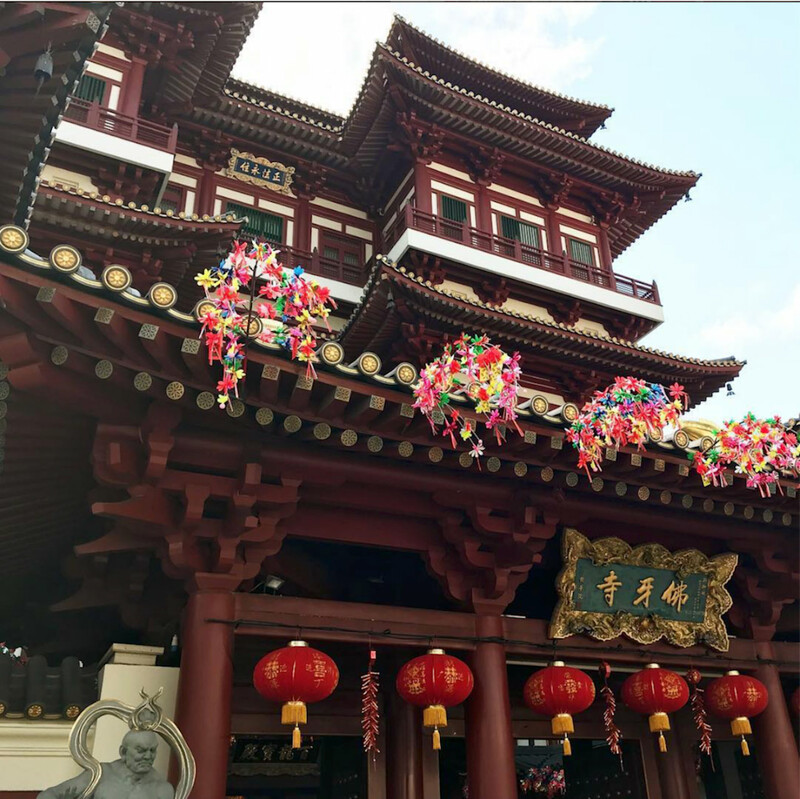 Buddha Tooth Relic Temple - A famous Buddhist temple with a museum concept that has attracted numerous tourists. Traditional shopping in Chinatown - Walk Pagoda Street, Trengganu Street, Sago Lane, Smith Street and Temple Street to explore and learn more about the Chinese woodwork handicraft shops, Chinese medical halls, and the local wet market. Sri Mariamman Temple - Oldest Hindu temple in Singapore where you can explore ancient Indian culture. Singapore River - Take a stroll alongside the Singapore River, exploring shops and restaurants alongside. G-Max Reverse Bungy - If you are up for an adventure, go for a ride on this Reverse Bungy. It even illuminates light at night which makes it a fascinating show to watch! Chinatown Walking Tour - Walking tour starts from S$37 where a local guide will immerse you in Chinese Culture in Chinatown. Singapore’s Chinatown Trishaw Night Tour with Transfer- Stepping into a 4-hour Chinatown Tour with the Traditional Trishaw with a local Guide. The guide will also walk you through Singapore’s History and explore the hidden gems of Chinatown and admire the city Skyline at night. Tour starts from S$96 per adult. Clarke Quay River Boat Cruise - Come on this River Boat Cruise which takes you through the Singapore River, where you can listen to the deep history and stories of Clarke Quay. At the same time, you will see the panoramic views of Clarke Quay and its beauty. Hippy Tours: If you are taking the Hippo Tour (“Hop On Hop Off” bus tour), hop on the Red lines. You can alight on bus stop number 9, 10, 11, 12 and 13. Brown Line Hippo buses go to Chinatown. You can light on Bus Number 5. Buses: Several buses run from different parts of Singapore to Chinatown and Clarke Quay. Click here to find out which bus you can take. MRT Train: You can purchase train tickets from the ticketing counters, or you can get the Singapore Tourist Pass which gives you unlimited access to transportation all around the city. You can alight at Chinatown Station and Clark Quay Station. Hipster streets infused with culture. A hipster neighborhood with boutique shops, hotels, and unique street arts. Little India is an ethnic district in Singapore. Over there, you can find Hindu eateries, shops, florists, and many India travel agencies. With the sounds of Indian foreigners bantering, cars honking in traffic jams, and people jaywalking brashly ignoring vehicles in front of them, it does give a very authentic feel of being in India! Arab Street is just a stone’s throw away from Little India. As the name suggests, there are many Arabic boutique shops selling textiles, perfumes, and tradition Arabic items. It is also a hipster place as you can find decorative street arts, boutique shops, and cafes littered along its lanes. Finding an accommodation here is suitable for those who love being around a hipster environment, surrounded with great vintage-like cafes. Just 5 minute walk away from a huge range of Shopping options and the MRT Station. Family rooms are available for those coming in huge groups. Based in Little India, you get to immerse yourself with the culture, have easy access to the biggest shopping places in Singapore and stay in their beautiful loft. This hotel is just a 5-minute walk to the MRT Station, it is located at a convenient place if you want to sightsee and tour all around Singapore. Haji Lane - One of the Narrowest streets in Singapore. Tons of tourist flock here to get that perfect picture with the street arts and vintage-like shops. It is a fashionista’s paradise! Masjid Mosque - Along Muscat Street is this impressive Sultan Mosque. Many tourists enjoy taking pictures with the mosque and palm trees in the background as it makes it picturesque. Mustafa Centre - A 24-hour Shopping Mall in Little India which offers you everything that you need. They sell utensils, glasses, groceries, luggage, electronics and many more! Little India Walking Tour - Tour starts at S$23, and you will experience the magic of Little India in a couple of hours! Classic Trolley City Tour - Over here, you will explore the hidden gems of little India and explore the Arab Enclave. You will board the Classic Trolley to explore marvel at Singapore’s colonial past. Hippy Tours: If you are taking the Hippo Tour (Hop on and Hop Off Bus Tours), hop on the Blue lines. You can alight on bus stop number 5, 6, 9, 10, 11, 12 and 13. MRT Train: As usual, you can purchase train tickets from the ticketing counters, or get a Singapore Tourist Pass which gives you unlimited access to transportation all around the city, alighting at Little India, Farrer Park or Bugis station (leading you to Haji Lane). Find out how cheap you can fly to Singapore below! Singapore is on the Singapore Dollar (SGD). 1 SGD = 0.74 USD. For up to date conversions, get the XE Currency Converter App. Singapore is not as seasonal as the other countries in the world. Singapore has only two seasons: wet and dry. The dry season is from March to August, while the wet monsoon season is from September to February. However, it can get cloudy and rainy during the dry seasons too. It is advisable to carry an umbrella in your daypack as the weather conditions can be unpredictable. For more advice on how to save money and a complete Travel Guide, Check out my Singapore's Travel Guide. International Data Roaming - Use KnowRoaming for unlimited data/cellular for $7.99 per day or a 1GB package for as low as $12 for 7 days! Enjoy the night View of Singapore including visits to top attractions like Gardens By the Bay, Marina Bay Sands Skypark and River Cruise. 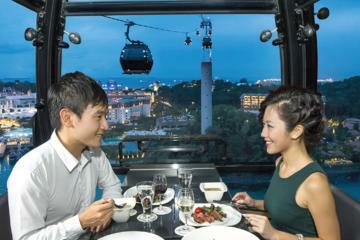 See the Singapore skyline from above with sky dining aboard the Singapore Cable Car on Mt Faber. Luxuriate in a 4-course dinner during three rotations on this historical cable car. Phew! 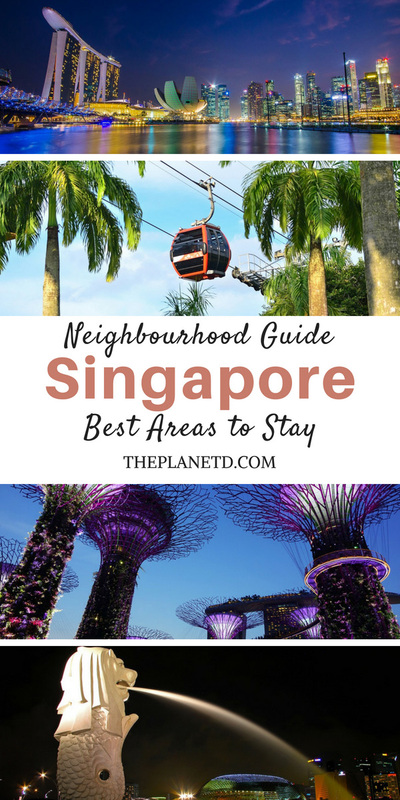 There you go for the best places to stay and see in Singapore! Though being a small city in Southeast Asia, there are so many things to see, eat and experience. I am sure you will have the time of your life during your trip here! Hope this article helped in your search for the best places to stay in Singapore on your impending trip! Planning a trip to Singapore? Save to Pinterest for future reference. Have you been to Singapore? Share your tips or ask some advice. We'd love to hear from you in the comments below. Charmaine Leow has traveled to many parts of the world from the most developed to the exotic ones. She shares them on Bunnyhoptravels to Help Travelers go on a Budget and get the most Maximum experience out of each and every trip! 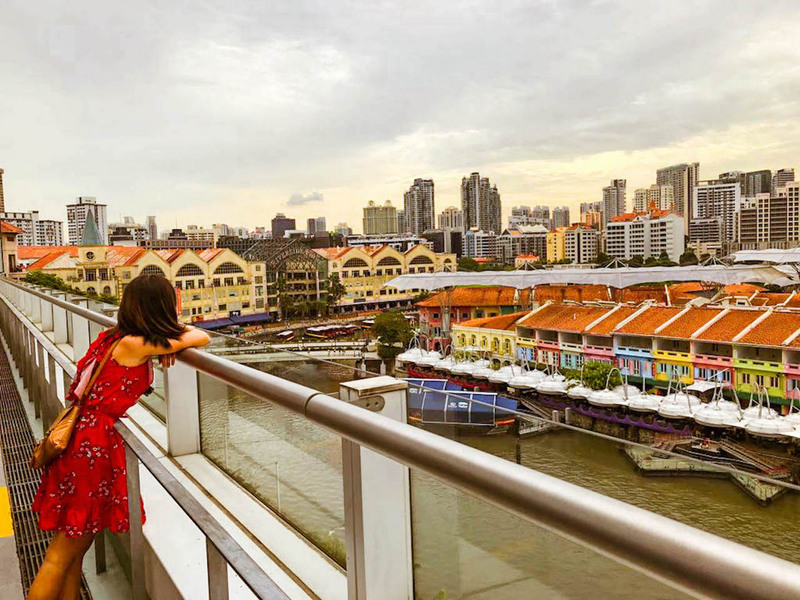 9 Responses to "Where to Stay in Singapore – A Guide To The Best Neighborhoods and Accommodation"
As a tour operator i’ve visited singapore 3 times and it’s one of my fav. Destination all over the globe. Will visit again once i’ll get the chance ?? I visited singapore last month ? it was awesome trip ? credit goes to the travel agency who has planned such a lovely trip for us ? will visit there again. Singapore is beautiful. I enjoy so much looking at your photos & Information! Thank you. Singapore is beautiful. After reading your post I am thinking to plan my next trip to Singapore. Loved staying in the Bugis area! Really close to Hajji lane and all the malls.